* All fares below were last found on : Apr 19, 2019 2:15:00 AM. Fares are round trip. Fares incl. all fuel surcharges, our service fees and taxes. Displayed fares are based on historical data, are subject to change and cannot be guaranteed at the time of booking. 58% of Barcelona Airport travelers were over the age of 35. 21% of Barcelona Airport travelers were over the age of 60. 6% travelers traveled to BCN with kids under the age of 14. 33% of BCN travelers were millennials. 53% of BCN travelers were female. MAD, LGW, EWR were the most popular destinations visited by First-Class travelers from BCN. 8 travelers booked First or Business Class. Travelers spent an average of 9.00 days in Barcelona Airport. 12:00PM - 1:00PM are the busiest hours at BCN. Every week, at least 1 domestic flights and 1957 international flights depart from BCN. 1974 flights arrive each week at BCN. 1970 nonstop flights arrive at BCN each week. The first flight to BCN departs around 6:00AM - 7:00AM. The last flight to BCN departs around 11:00PM - 12:00AM. March was the month with most bookings for BCN airport. December was the month with least bookings for BCN airport. Book flights to Barcelona Airport (BCN) with CheapOair! In addition to offering competitive airfares to locations most convenient for you, we provide useful information to inform your travel to BCN. Read below to learn more about BCN flights, and count on CheapOair for the best deals on all of your travel booking needs. With wide array of effective ground transportation facilities, commuting is a cakewalk here. The Transports Metropolitans de Barcelona offers its bus facility from here. You can also commute from the train station that is situated on the Terminal 2. 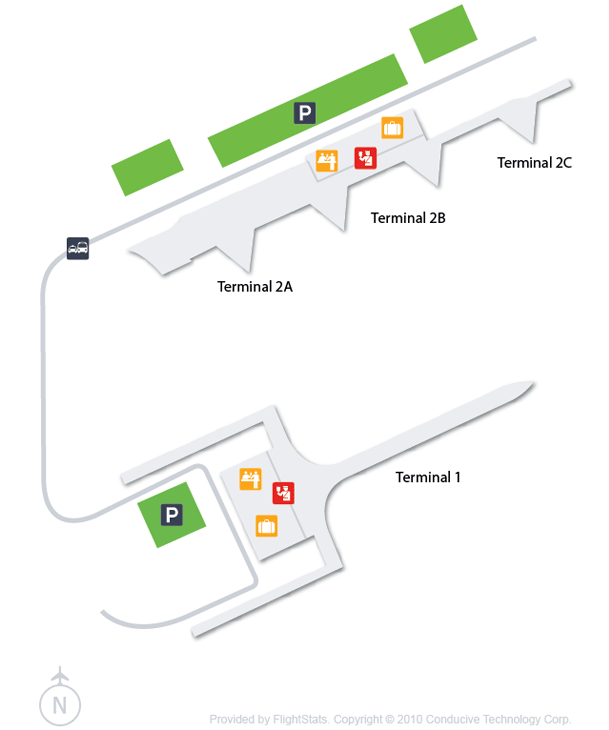 With plenty of taxi stops available at each terminal, choose your mode of transport accordingly. Barcelona Airport offers plenty of amenities for its passengers. With numerous restaurants, bars and cafeterias around, you have plenty to choose from. Enjoy Mediterranean dishes at Medas or tantalize your taste buds with traditional Chinese food at APTC, these both are located at Terminal T1 Floor 1. At Terminal T1, you can also indulge in some shopping of duty-free items from The Express Shop. With the free Wi-Fi facility, now you can check mails or chat with friends even at the airport. Fly tension-free to your destination as Barcelona Airport has about 24,000 parking spaces combining both Terminal 1 and Terminal 2. Short term and long term parking both are available at the airport. Visit a Starlight Reserve in the Canary Islands and Go on Safari through Galaxies! Find cheap hotels in Barcelona - Lowest rates for all sorts of Barcelona hotels!